1、Alaranta A, Alaranta H, Holmila J, Palmu P, Pietila K, Helenius I. 2006. Self-reported attitudes of elite athletes towards doping: differences between type of sport. Int J Sports Med. 2006 Oct;27(10):842-6. 2、Ahn SM, Hwang JS, Lee SH. 2007. Fructose 1,6-diphosphate alleviates UV-induced oxidative skin damage in hairless mice. Biol Pharm Bull. 2007 Apr;30(4):692-7. 3、Blazevich AJ, Gill ND, Bronks R, Newton RU. 2003. Training-specific muscle architecture adaptation after 5-wk training in athletes. Med Sci Sports Exerc. 2003 Dec;35(12):2013-22. 4、Brass EP. 2004. Carnitine and sports medicine: use or abuse? Ann N Y Acad Sci. 2004 Nov;1033:67-78. 5、Busso T. 2003. Variable dose-response relationship between exercise training and performance. Med Sci Sports Exerc. 2003 Jul;35(7):1188-95. 6、Cheung K, Hume P, Maxwell L. 2003. Delayed onset muscle soreness : treatment strategies and performance factors. Sports Med. 2003;33(2):145-64. 7、Edwards BJ, Edwards W, Waterhouse J, Atkinson G, Reilly T. 2005. Can cycling performance in an early morning, laboratory-based cycle time-trial be improved by morning exercise the day before? Int J Sports Med. 2005 Oct;26(8):651-6. 8、Ferris LT, Williams JS, Shen CL. 2007. The effect of acute exercise on serum brain-derived neurotrophic factor levels and cognitive function. Med Sci Sports Exerc. 2007 Apr;39(4):728-34. 9、Finaud J, Degoutte F, Scislowski V, Rouveix M, Durand D, Filaire E. 2006a. Competition and food restriction effects on oxidative stress in judo. Int J Sports Med. 2006 Oct;27(10):834-41. 10、Finaud J, Lac G, Filaire E. 2006b. Oxidative stress : relationship with exercise and training. Sports Med. 2006;36(4):327-58. 11、Godfrey RJ, Ingham SA, Pedlar CR, Whyte GP. 2005. The detraining and retraining of an elite rower: a case study. J Sci Med Sport. 2005 Sep;8(3):314-20. 12、Ingalls CP; Nofal T; Papadopoulos C. 2002. Adaptation of mouse skeletal muscle to two bouts of exercise-induced injury. Med Sci Sports Exerc. 34(5) Supplement 1: S183. 13、Jasperse JL, Laughlin MH. 2006. Endothelial function and exercise training: evidence from studies using animal models. Med Sci Sports Exerc. 2006 Mar;38(3):445-54. 14、Ji LL, Gomez-Cabrera MC, Vina J. 2006. Exercise and hormesis: activation of cellular antioxidant signaling pathway. Ann N Y Acad Sci. 2006 May;1067:425-35. 15、Kryzhanovsky GN. 2004. Some categories of general pathology and biology: health, disease, homeostasis, sanogenesis, adaptation, immunity New approaches and notions. Pathophysiology. 2004 Dec;11(3):135-138. 16、Kujala UM, Marti P, Kaprio J, Hernelahti M, Tikkan en H, Sarna S. 2003. Occurrence of chronic disease in former top-level athletes. Predominance of benefits, risks or selection effects? Sports Med. 2003;33(8):553-61. 18、Lee JK, Lee JS, Park H, Cha YS, Yoon CS, Kim CK. 2007. Effect of L-carnitine supplementation and aerobic training on FABPc content and beta-HAD activity in human skeletal muscle. Eur J Appl Physiol. 2007 Jan;99(2):193-9. 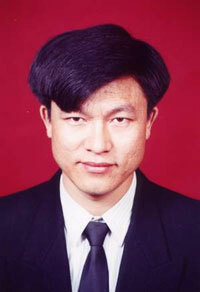 19、Liu TCY, Huang P, Liu XG, Chen XY, Liu J, Wang SX, Cui LP, Xu XY Guo H, Jin H and Deng SX, Ji LL. 2006. Delayed Onset Muscle Soreness: Three-Phase Hypothesis and Its Clinical Applications. Med Sci Sport Exer. 38(5) Supplement. S124-S125. 20、Myers J, Atwood JE, Forbes S, Sullivan M, Sandhu S, Walsh D, Froelicher V. 1990. Effect of fructose 1,6-diphosphate infusion on the hormonal response to exercise. Med Sci Sports Exerc. 1990 Feb;22(1):102-5. 21、Nosaka K, Sacco P, Mawatari K. 2006. Effects of amino acid supplementation on muscle soreness and damage. Int J Sport Nutr Exerc Metab. 2006 Dec;16(6):620-35. 22、Sarna S, Sahi T, Koskenvuo M, Kaprio J. 1993. Increased life expectancy of world class male athletes. Med Sci Sports Exerc. 1993 Feb;25(2):237-44. 23、Slutsky I, Sadeghpour S, Li B, Liu G. 2004. Enhancement of synaptic plasticity through chronically reduced Ca2+ flux during uncorrelated activity. Neuron. 2004 Dec 2;44(5):835-49. 24、Smith LL. 2004. Tissue trauma: The underlying cause of overtraining syndrome? [J]. J Strength Cond Res, 2004,18 (1): 185-193. 25、van Someren KA, Edwards AJ, Howatson G. 2005. Supplementation with beta-hydroxy-beta-methylbutyrate (HMB) and alpha-ketoisocaproic acid (KIC) reduces signs and symptoms of exercise-induced muscle damage in man. Int J Sport Nutr Exerc Metab. 2005 Aug;15(4):413-24. 26、Victor VM, De la Fuente M. 2003. Immune cells redox state from mice with endotoxin-induced oxidative stress. Involvement of NF-kappaB. Free Radic Res. 2003 Jan;37(1):19-27. 27、Wang YH, Huang TS, Lin JL, Hwang JJ, Chan HL, Lai JS, Tseng YZ. 2000. Decreased autonomic nervous system activity as assessed by heart rate variability in patients with chronic tetraplegia. Arch Phys Med Rehabil. 2000 Sep;81(9):1181-4. 28、刘承宜, 袁建琴, 陈少华. 2007. 科学训练、健康传播与奥运的平民化战略. 体育学刊 . 14(3): 33-36. 30、曲绵域. 2000. 高水平运动员训练中的运动创伤适应[J]. 中国运动医学杂志, 2000, 19(1): 84-85. 31、孙海平. 2005a. 孙海平指导谈训练(一). 田径. (5): 4-7. 32、孙海平. 2005b. 孙海平指导谈训练(二). 田径. (6): 14-18. 34、杨华元, 刘堂义, 蒯乐, 高明. 2006. 穴位电刺激增强运动员快速力量的作用观察[J]. 中国针灸, 2006,26(5): 313-315.